Save 48% when you buy this 5 set of Second Amendment collectible pins. Originally $9.95 each pin! 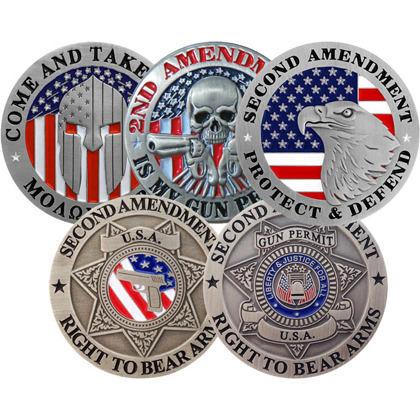 If you’re proud to be an American and proud to be taking advantage of your Second Amendment right to bear arms, then you’ll love this collector’s pin set! Pins measure 1 1/2″ round. Made from heavy duty metal. Double pin attachment on the back.